Such a sweet gift from One Sweet Bouquet, as I was wrecking my brain to get something for my friends birthday this came the next and I felt like kicking myself for not knowing about them a bit sooner.. Very simple baby breathe arrangement, yet quite elegant.. 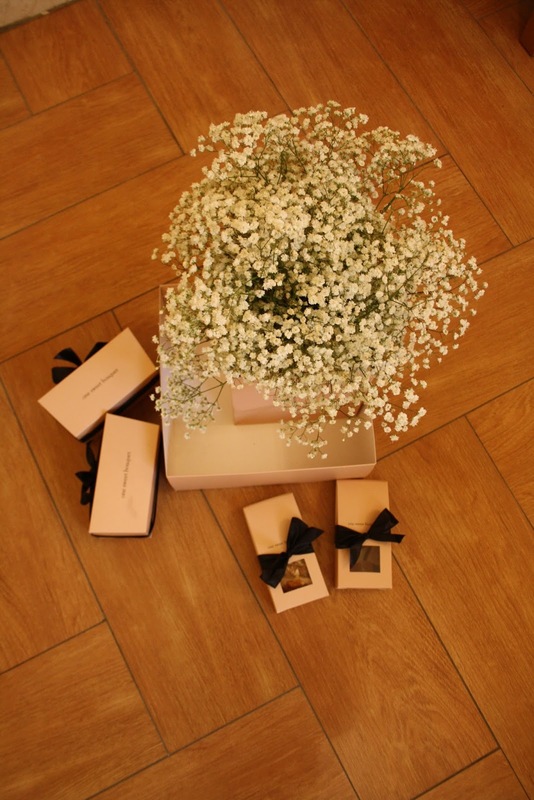 Loved how everything is packaged into pale pink boxes and black ribbons.. The two big boxes contained chocolate chip and peanut butter cookies, and choco dusted meringues.. I didn't open the two small packages yet but I'm guessing equally yummy stuff..